Historical fiction set in Johnstown PA in the 19th century. Young Crystal struggles to keep her family together after the death of her mother. Female independence at an early age–very inspirational book for all ages. Johnstown, PA from the aftermath of the Flood of 1889 to Lindbergh s historic flight, follow the intertwined lives of the Edelweiss family as Crystal struggles to keep her family together and becomes an independent woman of the 1920 s. Author Kim Seigh has captured life in 20th century Johnstown, PA, and follows the lives of a struggling family as they celebrate the victories of life and the defeats. This book offers a slice of life that is quickly slipping away from our children. 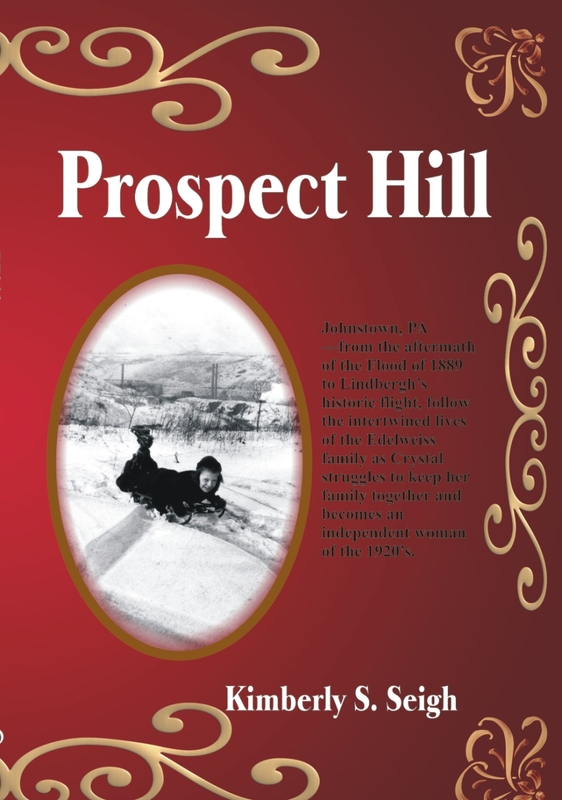 Inspired by her own family history, the characters are very real and Prospect Hill brings history to life in a memorable, entertaining way by introducing you to a family you will never forget.